Adding more Q + A to this page, reflecting about different views of reiki. People frequently ask me: what kind of reiki do you practise? I made the first/second/third/master etc. 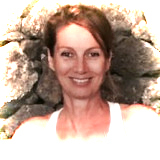 degree with this x person and in that x reiki style and would like to go on with my training with you, can i do that? I am a practitioner forUsui reiki, what is the difference to “your” reiki etc….. Which reiki is the best?…..Why is there different reiki? In my personal point of view, there does not exist “different reiki”. That simple it could be. Talking about reiki is talking about “universal energy”, “divine energy”, “cosmic energy” etc… No matter what name you give it, reiki is something that has been existing for ever and will exist forever. There is no better or worse, it is natural, loving energy. Though, talking about reiki in our contemporary society, we normally refer to the reiki teaching of Mikao Usui sensei from Japan, with all its colourful modifications from the West, where its worldwide diffusion started last century. Yesterday i was interviewed for an international Reiki congres and was asked about my spiritual path and my Reiki path. Made me talk for the first time in public about my spiritual experiences and how Reiki came later into my life as well… the basic for everything i do now: spreading love, health and abundance.